Discover how God has been working, is working, and might work in and through you. 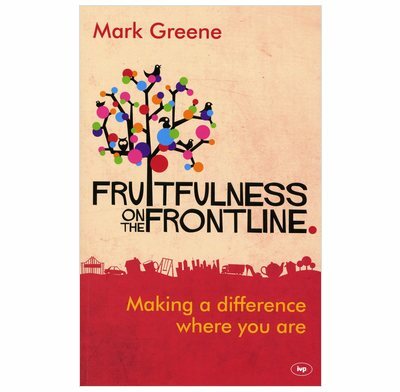 What does fruitfulness look like in our everyday lives? How can we serve God in the many, many hours of our waking time? Whether we are housewives or students, schoolkids or factory workers, sales assistants or retired, God can use us in many different ways. And that's not by adding new things to our much-to-do-about everything lists. Rather, it is about what happens when we let God show us how he wants us to respond in the places we find ourselves day by day - our frontlines, wherever they are. We don't need a high position, a university degree, or lots of money to have a significant impact for the Lord. What if, for now at least, the people God wants us to love and serve are the people we meet day-to-day? There are lots of stories in this book. They are all about followers of Jesus who have come to see the places and the people they encounter on their frontlines. They are testimonies that God still works powerfully, wondrously, and mysteriously through his people today.